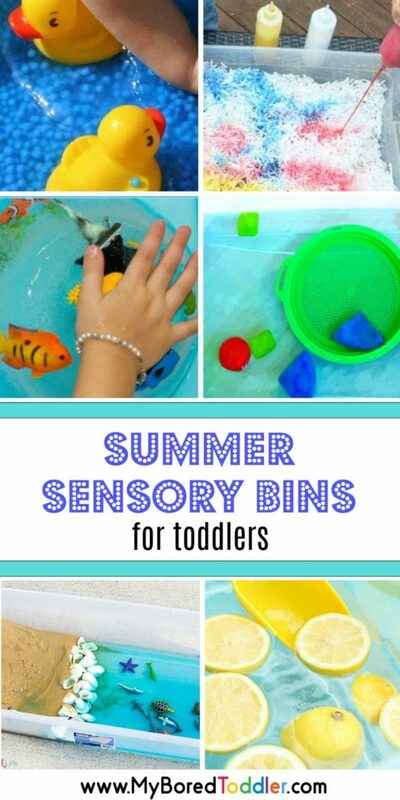 If you’re looking for fun toddler summer activities then this collection of summer sensory bins for toddlers will have you sorted! Summer is one of the best seasons for sensory play and it’s a great excuse to get outside and enjoy the sunshine! 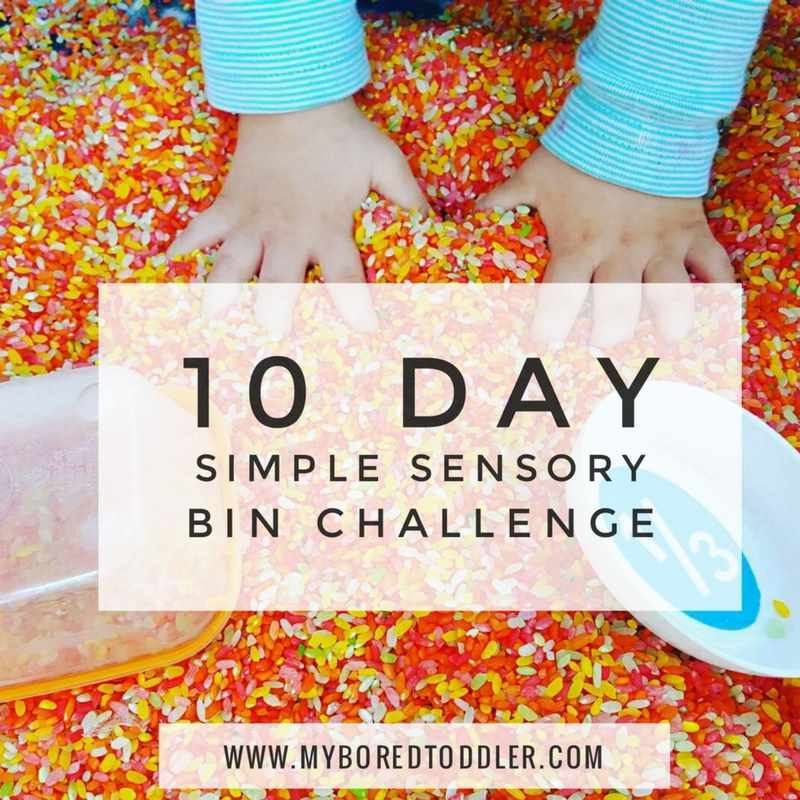 If you’re wondering what a sensory bin is, or how to get started making them, you might enjoy our FREE 10 Day Simple Sensory Bin Challenge. 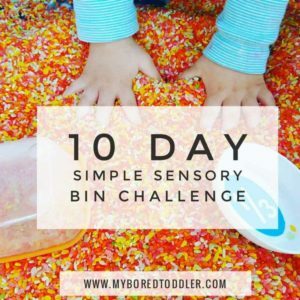 This challenge encourages you to set up easy sensory activities, with a different easy and cheap activity each day. You can sign up HERE. 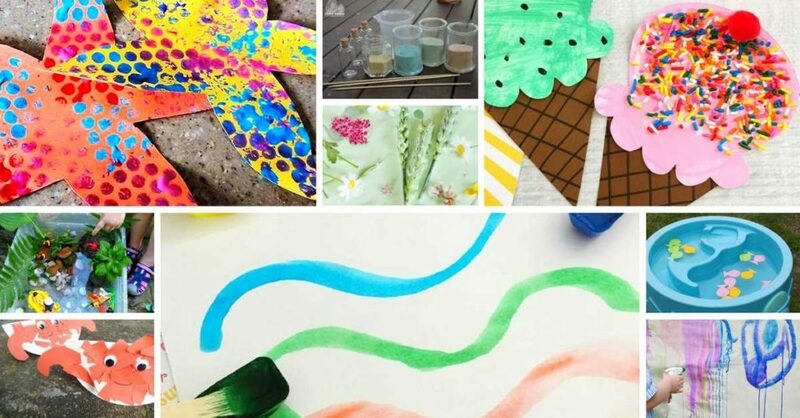 When you’re planning your sensory bins for summer, here are a few great bases to keep in mind. 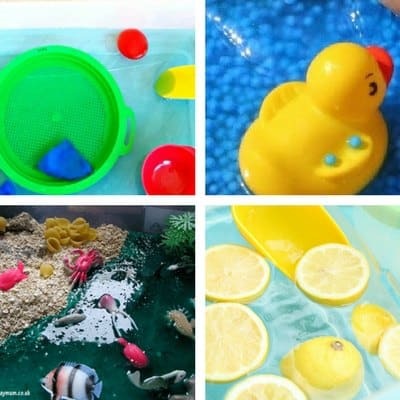 Water – when the weather is warm, simple water play can be just as much fun as a more complicated sensory bin. Ice – If you’re using water as a base then throw in some ice to add a whole new sensory experience! Sand – Sand is an obvious choice as a base for summer sensory bins. If you’re not lucky enough to have access to sand you can always but some and there’s even ‘kid safe’ sand like this one available too. If you want to store your sensory bins to use them over and over again, a lot of them will keep really well in a well sealed container like this one. You can even store them under the bed and pull them out as needed. 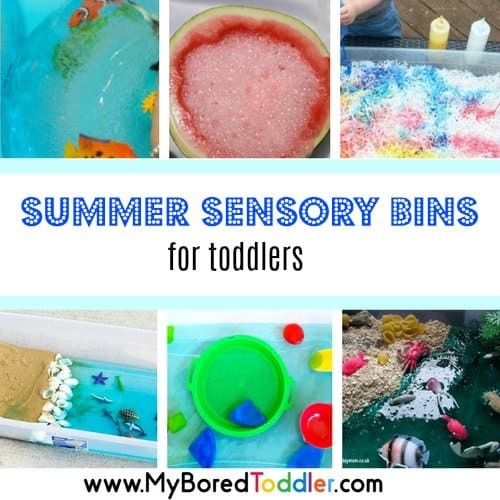 If you enjoyed these summers sensory bins for toddlers as much as we have, make sure you check out our huge collection of over 65 sensory bins that are all suited to 1,2 and 3 year olds. 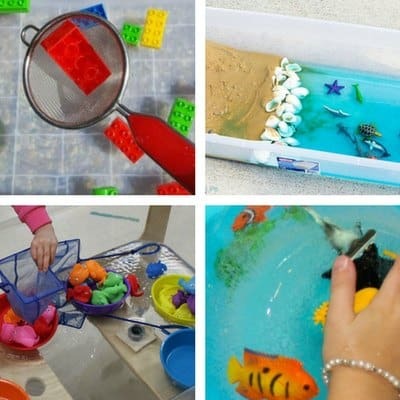 You’ll also want to see our collection of baby and toddler water play ideas. 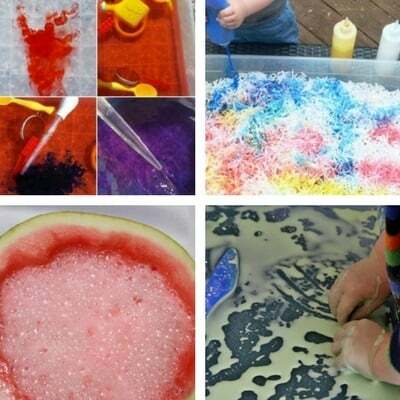 We would love see photos of your own summer sensory bins! Share them on Instagram (use #MyBoredToddler so we can all see them – I love to share some of them too!) or share in our Facebook Group. 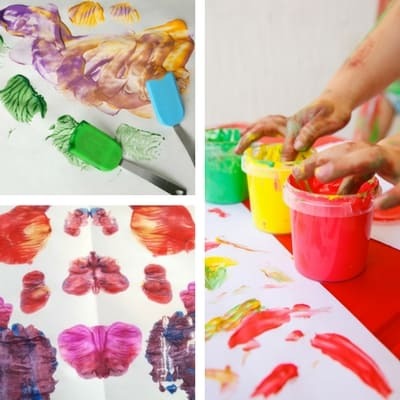 You can also sign up to our weekly newsletter or follow us on Facebook or Pinterest for more great toddler activities and ideas.